Craig B. Kushnir, D.O. is a Board Certified Emergency Medicine physician on the Medical Staff of Bethesda Hospital East. Dr. Kushnir serves as the Medical Director of Bethesda's Emergency Department. Dr. Kushnir earned his Doctor of Osteopathy degree from the University of New England. He completed his residency in Emergency Medicine at Shands Hospital at the University of Florida. He is a Diplomat of the American Board of Emergency Physicians and a Fellow of the American College of Emergency Physicians. 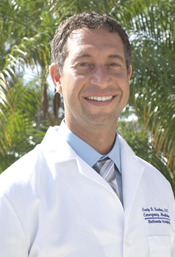 He is also affiliated with the American Academy of Emergency Medicine and is also a member of the Palm Beach Medical Society. In his spare time, Dr. Kushnir enjoys golfing, running, snowboarding and boating.